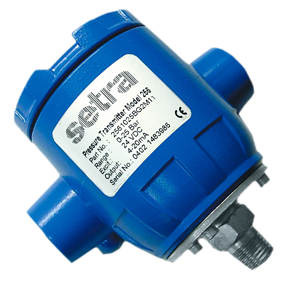 Setra’s most versatile pressure transducer. 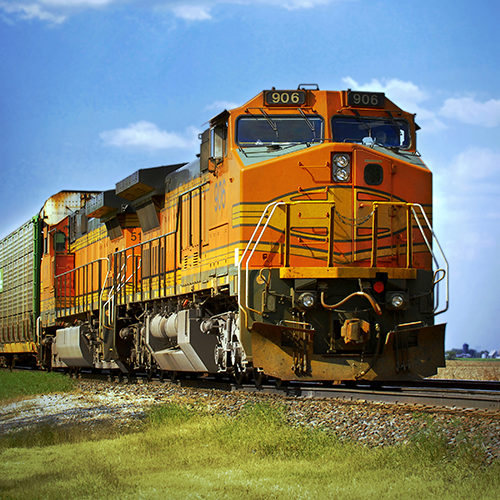 The Model AXD’s capacitive sensor design offers test & measurement grade accuracy at a low price point. 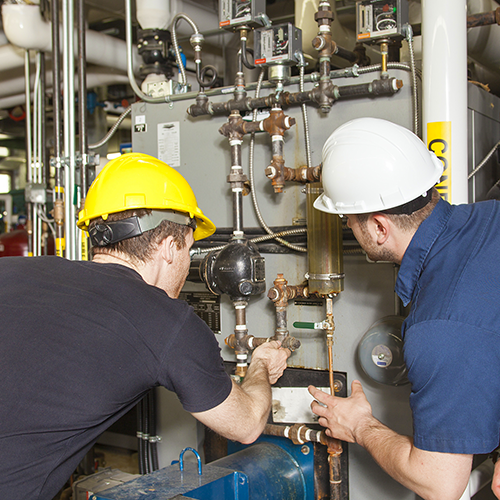 The sensor comes standard with ±0.25% FS accuracy in ranges from 1 PSI to 10,000 PSI, exceeding most competitive products. 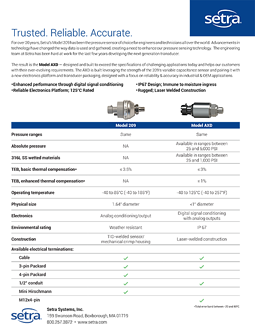 The unit offers expanded performance through thermal compensation, bringing the TEB to <1.5% FS. 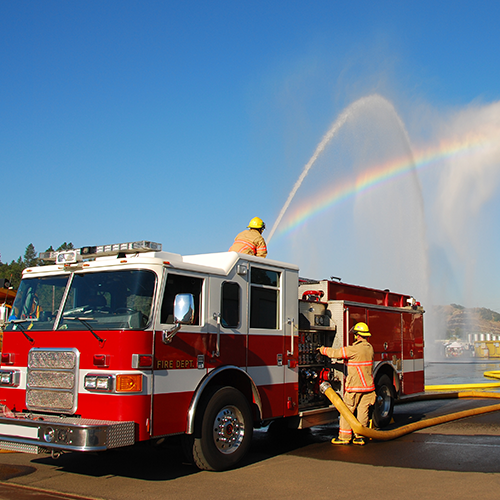 The Model AXD is designed and built to withstand demanding applications. 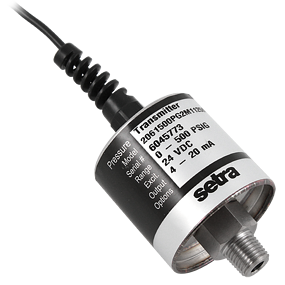 The industrial non-oil filled construction, designed with a positive overpressure stop, enables the sensor to recover from overpressure conditions up to 8X the rated range. 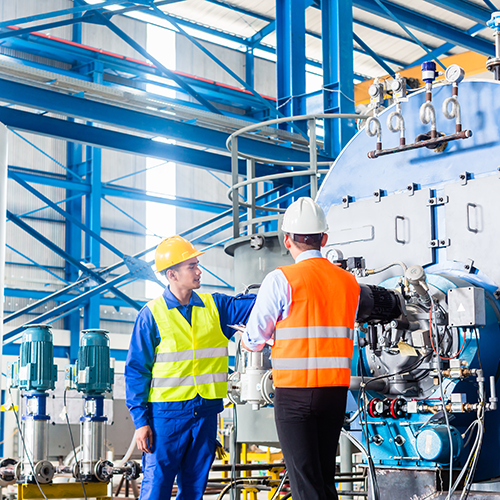 The AXD’s capacitive technology offers worry free operation vs. oil-filled designs, which have a high cost of failure if oil leaks into the application and contaminates costly equipment. 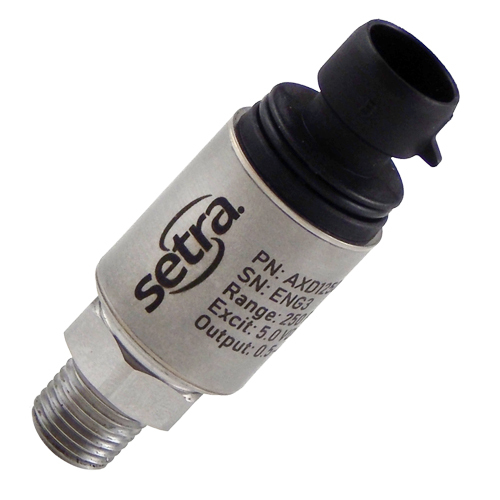 The AXD is the latest addition to Setra’s already extensive line of industrial pressure transducers. See how the AXD stacks up against some of our other devices. 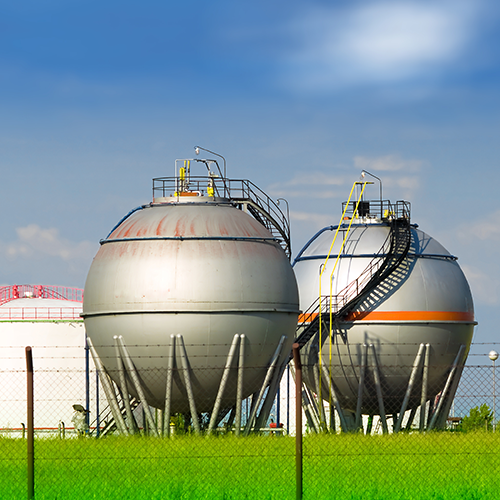 The AXD is a rugged pressure transducer built for the most demanding industrial applications. 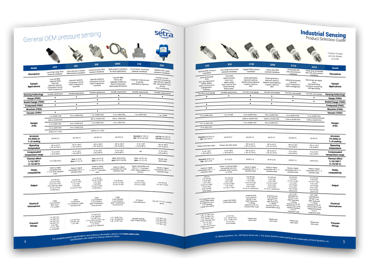 Setra's Industrial Product Selection Guide will help you not only select the right component for your job, but the best overall solution. 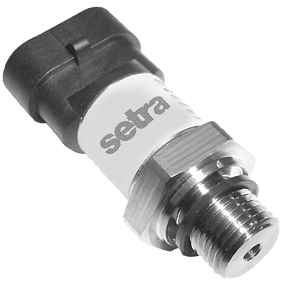 Specifically designed for NEMA4/IP65 service the 256 is packaged in a die-cast aluminum enclosure and includes Setra’s robust capacitive design. Featuring a sputtered thin film sensing element designed for OEMs who require performance, reliability and stability at an affordable price. 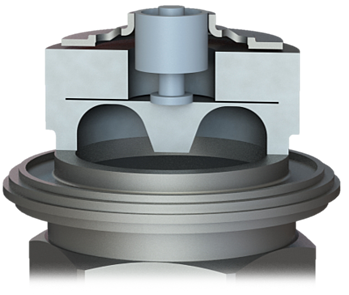 Offering exceptional ±0.13% FS accuracy for pressure ranges as low as 25 PSI up to 10,000 PSI to meet a multitude of demanding applications.